5 Ways To Use Coconut Oil For Face In Your Beauty Routine! It’s the newest trend to hit the world of beauty and glamour and everyone wants to be a part of it. Radiant and glowing skin is now on the ‘must-have’ list of everyone around. A picture-perfect, flawless skin is what we all desire. Some of us are born that way but for some it takes a little of bit of effort, and money! You could spend thousands on salon routines that may or may not give you the desired outcome. Or, you could become a fan of ‘Coconut oil’ – an easily available product that has a long list of beauty benefits. But, did you know that this amazing natural product is also your skin’s best friend? Coconut oil is a multi-talented oil and depending on your skin type – you can use it as a moisturizer, cleanser and even as a sunscreen. This oil protects your skin and helps in healing the skin because of the antioxidants present in it. Coconut oil also reduces inflammation as it contains fatty acids. Face Wash: Melt the coconut oil in a pan and add 1 tbsp baking soda and 5 tbsp of any of your favourite essential oils suitable for application your face. Store this homemade face wash liquid in a jar. Makeup Remover: Removing makeup is a major task. Instead of removing make up with other chemicals, remove it with coconut oil. This will make your skin hydrating and softer. Coconut oil will help in reducing wrinkles as well. 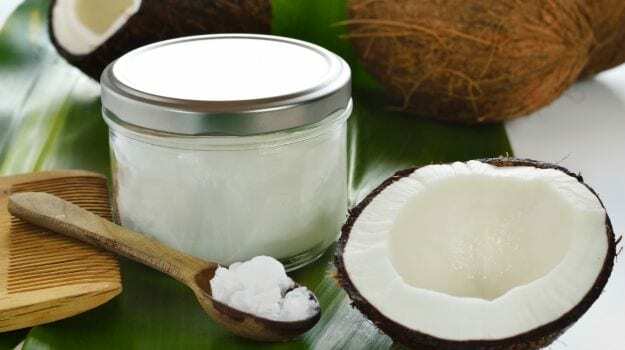 Lip Balm: You can add a few drops of coconut to any of your lip balm or chapstick, this will help in making your lips moist and getting rid of dry lips. Night Cream: Add a few drops of coconut oil to your moisturizer and apply it at night before sleeping if you are prone to face acne. If not, then you can apply the oil as it is on your face. Sunburn Relief: The harsh rays of the sun can dry the delicate skin on your face and you look older. Coconut oil helps you to get rid of that redness and itching (if you experience it) as it rehydrates the skin.